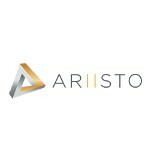 Ariisto is a leading real estate group based out of Mumbai. The group has completed several residential projects aggregating over 4 million sq. ft. of development in Mumbai. With 19 Projects spread across Mumbai, Ariisto Realtors strives to set new benchmarks in construction, design and sustainable spaces while bringing innovations in the industry through exceptional and differentiating Landmarks.